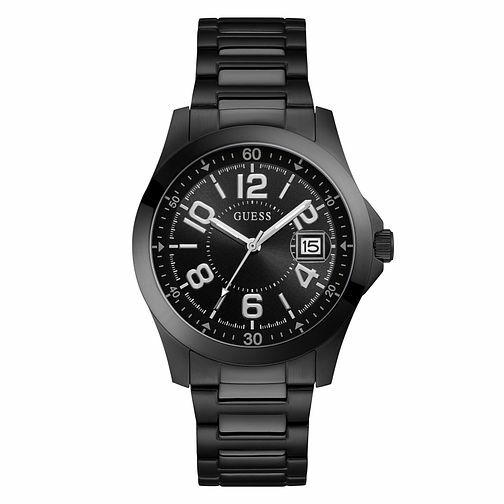 This exclusive men's watch by Guess boasts a cool and classic appearance in black stainless steel. A handy date display aperature sits at the 3-o-clock position, amongst the Arabic numeral hour markers. This watch boasts quartz movement, and water resistancy up to 50 metres.